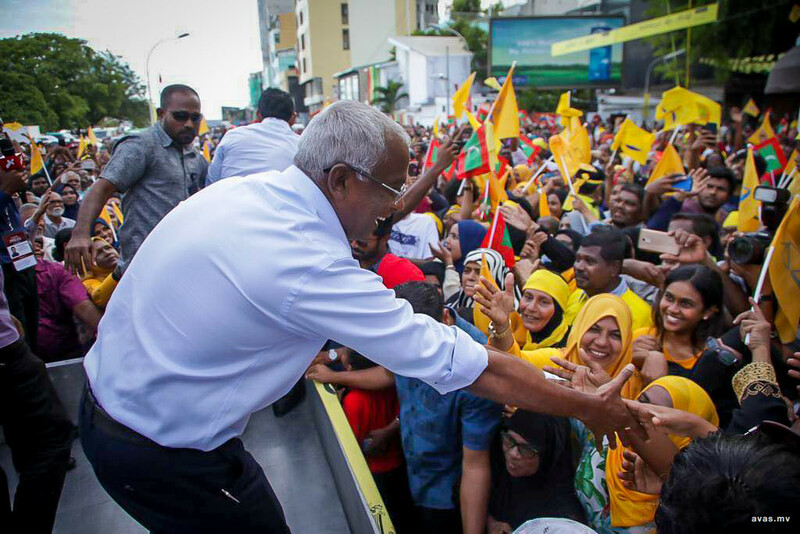 Maldives' president elect Ibrahim Mohamed Solih has urged outgoing president Abdulla Yameen Abdul Gayoom to heed warnings for sanctions in the wake of his bid to annul last month's presidential elections, Solih's spokesperson Mariya Ahmed Didi revealed Saturday. Mariya told local reporters during her daily press briefing that the president elect remains greatly concerned by the continued warnings to impose sanctions from the international community. Solih has urged president Yameen to accept the will of the Maldivian people in order to avoid sanctions that would have serious consequences on the country. "The people will suffer. So the president elect has urged president Yameen to think about the people, accept the outcome of the elections and ensure a smooth transition of power," Mariya said. Mariya's comments came after United States (US) threatened to impose sanctions against president Yameen over his bid to annul last month's presidential election which he lost to the opposition alliance. President Yameen had filed a legal challenge on Wednesday citing rigging and electoral fraud. US state department's deputy spokesperson Robert Palladino during White House press briefing expressed grave concern by president Yameen's "troubling actions" to undermine the will of the Maldivian people. "... will consider appropriate measures against anyone who undermines a peaceful transition of power," Palladino warned. Maldives' apex court meanwhile is set to hear the legal challenge at 1pm on Sunday. Yameen conceded defeat a day after the election but has since alleged widespread irregularities in the vote. The president, who says he will stay on in office until the end of his term on November 17, has offered little evidence to back his claim. Solih had been backed by incumbent president Abdulla Yameen Abdul Gayoom's main political rivals including the now jailed former presidents Maumoon Abdul Gayoom, Mohamed Nasheed along with Jumhoory Party leader and business tycoon Gasim Ibrahim. However, the ruling party has now claimed that the elections commission had rigged the elections and has been carrying out nightly protests demanding the commission to answer recent allegations.